“The World Ends in Hickory Hollow” follows the residents of Hickory Hollow, TX after a nuclear war wipes out most of the world. Through a fortuitous act of fate, most of the fallout missed their little town and it survived. As the residents come to terms with the disaster, they are forced to rely on themselves to survive – growing their own food, making their own clothes, etc. The modern world is all but gone. Reading that back – it sounds like a story I would really like. I wish that it were. For me, most good end-of-the-world stories involve the world ending in the story with a bang; not always – but I do like to see a little carnage, a little action, a little something impactful in my apocalyptic fiction. 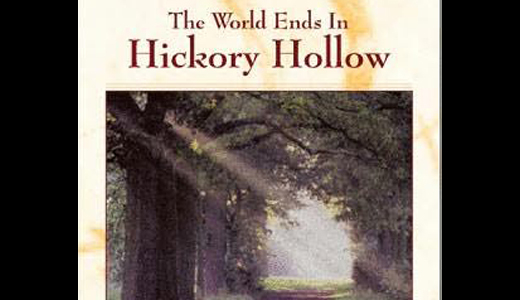 In “Hickory Hollow”, the world ends with a whimper. It ends with the power going out on a family farm. The family is just fine – in fact, they don’t even learn of the nuclear exchange until ten days later when they head in to town for groceries. The power is out, world is over. What follows is more a discussion about the day-to-day existence of the family and the friends and neighbors that they take in. There is a lot of talk about getting back to the old ways and living off of the land. That’s fine – and can be a part of any good story about the apocalypse. What was missing for me was any real drama or conflict. Yes, there were some “bad folks” that caused trouble and had to be dealt with – but that conflict never really felt central to the story. It almost felt like an add-on, just to be able to say that there was a conflict to resolve. It was not very satisfying, nor was it particularly suspenseful or engaging in the way it was resolved. Now we both knew farming the way you know it only if you grew up working on one. We were both good carpenters, plumbers, herdsmen, horticulturists, loggers, metalworkers, managers, mechanics…in short, typical farmers. That’s all it takes? A little of this, a little of that – who knew it was that simple to survive the end of the world? I’m screwed. © 2010, The Word Zombie. All rights reserved.